PlanItGreen is a sustainability planning and implementation project seeded by the Oak Park River Forest Community Foundation’s Communityworks Partnership. 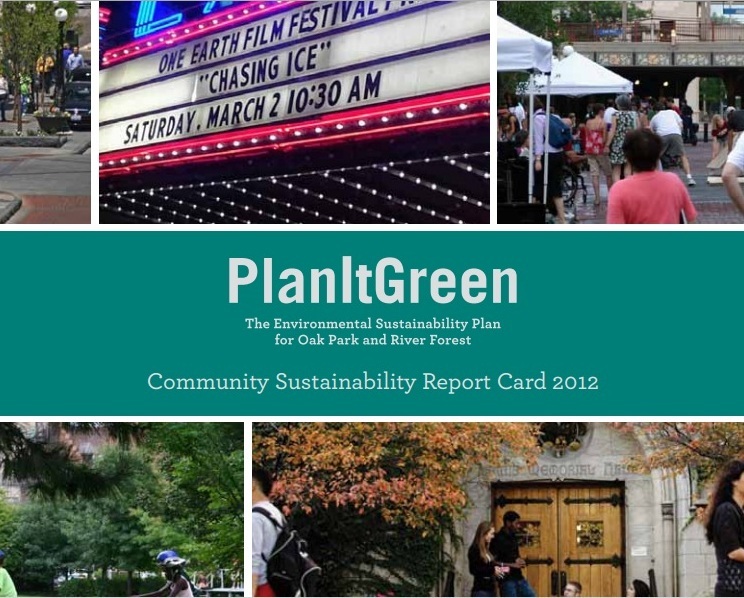 As one initiative of the Partnership, PlanItGreen has engaged residents, businesses, and institutions in developing a two-community, ten-year sustainability plan for the Villages of Oak Park and River Forest, Illinois. The plan supports the interests of leaders and stakeholders in engaging all levels of community to reduce their environmental footprint and advance common sustainability objectives. The project is overseen by the Communityworks Advisory Board and the PlanItGreen Core Team. Phase 1 of PlanItGreen began in August, 2010 with the aggregation of baseline metrics on community resource use conducted by the Center for Neighborhood Technology. Phase 2, led by Seven Generations Ahead (SGA) in collaboration with the Delta Institute, included a multi-faceted community engagement process resulting in the development of a final plan with goals, targets, and strategies in each of nine sustainability topic areas – energy, waste, transportation, water, food, education, community development, open space and ecosystems, and green economy. This phase culminated on June 23, 2011 with the release of the final plan at an event with over 100 community leaders and residents. Seven Generations Ahead directs Phase 3 of the project, which includes 2012 and 2013 strategy implementation, data aggregation, and the project’s first community sustainability report card. An overview of of the program with all relevant materials is at the Seven Generations Ahead website. 1) Initial 100-page sustainability planning document from 2011. 2) 17-page report card from 2012. 3) Four-page list of stategies and priorities from 2013-14.